Rep. Scott Peters on Monday called for a Congressional vote to censure President Trump after his refusal to acknowledge Russian attacks on the 2016 election. He called on both Democratic and Republican leadership in the House and Senate to introduce a formal joint resolution censuring the President for his comments. Standing beside Russian President Vladimir Putin after their summit in Finland, Trump said that despite evidence from American intelligence agencies, he accepted Putin’s denial. “I have President Putin, he just said it’s not Russia. I will say this. I don’t see any reason why it would be,” Trump said. 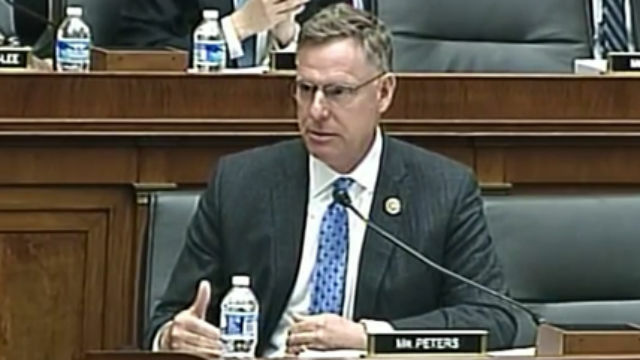 Peters, a former San Diego city councilman, represents the 52nd District in central San Diego County.